Pakistan is victim to a variety of disasters and tragic events, affecting the lives of many people across the country: from violence to floods and from heat waves to earth quakes. The large amount of victims often challenge the resources of local hospitals, making it difficult to respond to all victims appropriately. Large amounts of citizens volunteer to help out with time, money, blood donations or physical goods. However, these efforts at times lack coordination, resulting in a waste of already scarce resources. 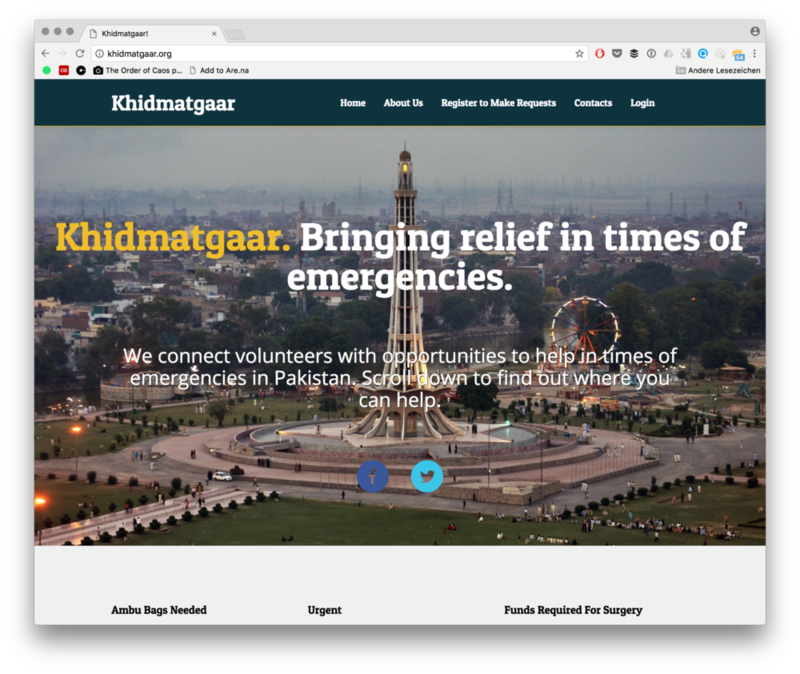 In order to support these volunteer efforts we developed a prototypical platform that improves coordination between first responders at hospitals and the sites of emergencies, and citizens, and allows to communicate more accurately about the needs of victims. The process to develop the platform was inherently participatory: it was jointly created by designers, public health specialists, seasoned volunteers, engineers and citizens. Based on interviews and site visits we developed the requirements of the tool, and subsequently built it with an international team. We recently received a grant from MIT-based organisation IDIN to test the platform out in the open.